What do readers want? A great story, well told with engaging characters and turn-the-page tension. 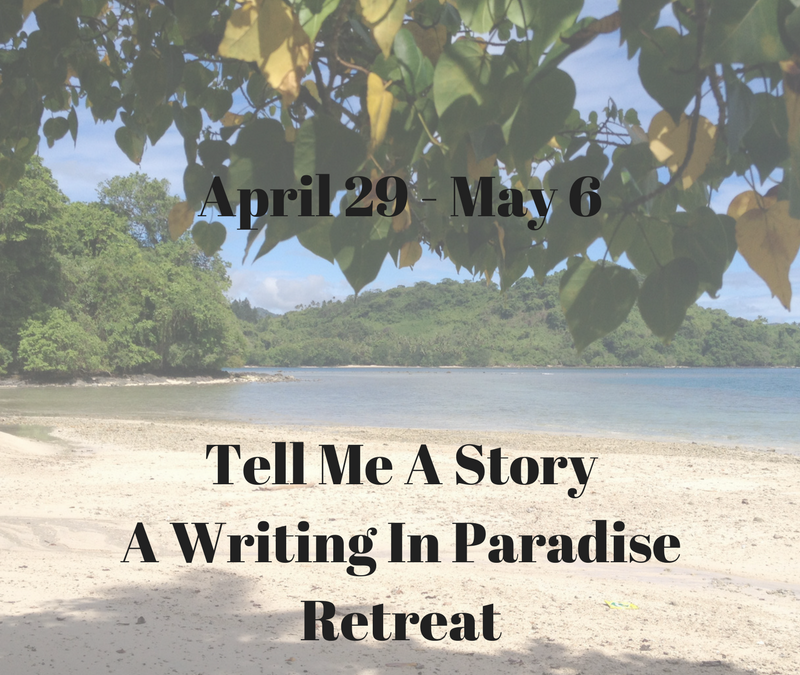 That’s what the Tell Me a Story Writing Retreat will help you write. 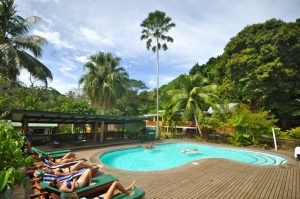 The retreat is being held at the gorgeous Daku Resort on the island of Savu Savu. Daku is a small, laid back, intimate resort with the top rating on Trip Advisor for the island. Owners Delia and J J are always on hand to chat to their guests and the Fijian staff are friendly and more than helpful. I actually cried when I had to leave! and other aspects of craft. Afternoons will include mentoring sessions, during which each participant will receive feedback on their writing. Prior to the course the tutor will read the first 5,000 words of each participant’s novel and give feedback in separate one-on-one mentoring meetings over the duration of the course. 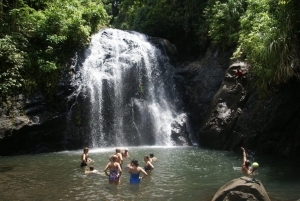 Included in the cost of the course is accommodation, 3 meals a day and excursions to various parts of the island. 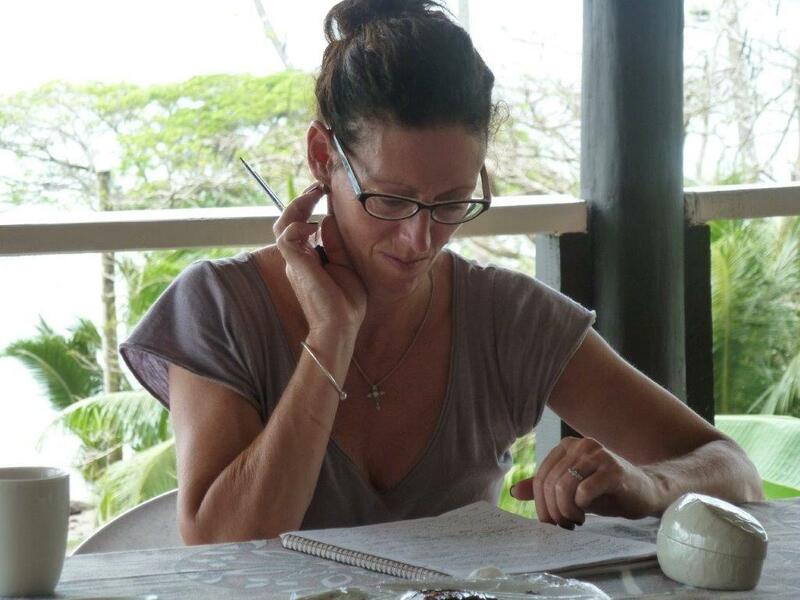 It’s a great combination of writing time, instruction, networking with other writers, sightseeing and soaking up the beautiful Fijian sun. 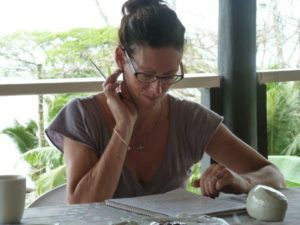 While this writing retreat is designed for those writing and seeking to publish commercial fiction it would suit anyone who is writing a novel. Ideally attendees will be well into their first draft, or even further down the path to completion. If you’re not sure whether it would suit you please email me for a chat about your writing project and plans. I have been writing for 17 years and have four novels published with Hachette Australia. My novels are all in the Rural Fiction genre but I have also written literary fiction, poetry and memoir and am a wide and eclectic reader. You can check out the Goodreads reviews for my latest novel, The Crossroads, here. I have a background in high school teaching and have also been teaching creative writing for the last 12 years. You can find a full list of my workshops and classes on this website. A number of my students have been published. I love working with emerging writers and helping them further along their path to publication.